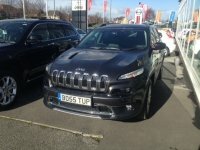 Have you always wanted a more unique number plate, but don’t want to go for the full blown personalised option? 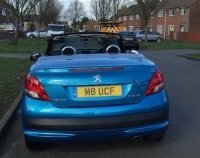 Do you want a number plate and registration mark that is personally significant to you but remains fully legal on UK vehicles? 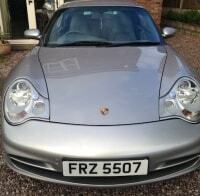 Are you looking for a number plate and registration mark that is issued directly by the DVLA? If any of the above apply, then considering our range of DVLA number plates is definitely an option you’re going to want to explore. What are DVLA number plates? Our DVLA number plates are issued by the DVLA in Swansea That means that these plates are fully legal and legitimate from the outset. These plates are part of the standard yearly issue that arrives with each new vehicle, so they follow the same conventional formatting of number plates that everyone is familiar with. DVLA reg plates that were not issuedas part of the standard bi-annual issue of plates for new vehicles. These plates have never been issued to a particular vehicle. There are two reasons why these plates have not been included as standard issue. The first is a simple case of supply and demand; often, more registration plates are issued than new cars are produced, so there is a surplus of plates that can then be sold on. Secondly, some plates that the DVLA recognise may be particularly interesting to those looking for more personalised plates that are still compliant with the standard-issue format. The DVLA has recognised that these plates may be desirable and has thus withdrawn them from the general bi-annual run of new plates. Rather than these plates being issued at random to new vehicles, they are withdrawn for separate sale. These special plates that have been removed from general usage are offered for sale twice a year; usually in December and June. The scheme by which they do this is known as the Sale of Marks. Each of these authentic DVLA registrations are priced according to how desirable they are to consumers. In addition to these new sales, the DVLA also hold auctions six times a year for potentially-popular plates and DVLA private plates that have otherwise gone unsold; these are usually advertised well in advance of the sale. Yes, 100%. When you buy DVLA reg plates, they are legal and completely licensed for use on vehicles in the UK, including Northern Ireland. So if you want a personal touch to your car, you can’t go far wrong with these specialist plates. 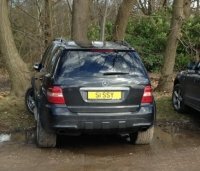 Why buy DVLA registration plates? Get a personalised look to your number plate but without having to pay thousands of pounds for a fully personalised plate. Show off your individuality with your plate and truly make your vehicle stand out from the crowd. Easy to transfer your existing car details to your new plate, so you can make use of your new purchase far quicker than you might expect. You’re an individual, so your car should be too— by choosing DVLA registration plates, you’re able to give your car a personal touch that standard registration plates just can’t offer. Really, the bigger question is why wouldn’tyou want these special plates, given the benefits they offer and the ease of purchasing and transferring them! How do I buy DVLA registration plates? Secure online ordering; you can be confident that any order you place with Primo Registrations will be processed with a dedication to providing the most secure, reliable checkout experience. Huge range of number plates to choose from. Whether you’re looking for DVLA registrations or DVLA Northern Ireland plates, you’re sure to find something that suits your preferences thanks to our vast range. We are established, well-regarded experts in the field, so you can be confident of a smooth, simple transaction when you choose to buy from us. We also offer 0% finance on DVLA number plates, so if you want to buy that special plate and don’t have the funds available at the time of purchase, you can choose our financing option to ensure you don’t have to miss out. We guarantee that our plates are the lowest prices available, so you can be sure you’re getting an outstanding deal when you choose to shop with Primo Registrations for your DVLA number plates. We’ll help you with the transfer process with the DVLA, so your vehicle can be up and running on your new plates as soon as possible. We seek to make the process as hassle-free and easy for our customers as possible, so you can be sure you’re in good hands when you choose to buy with Primo Registrations. As well as DVLA registrations and number plates, we offer a wide range of different private and personalised plates for you to choose from— browse our site to see what catches your eye! Whatever kind of number plate you buy from us, you can be completely confident of receiving the full Primo Registrations dedication to providing the best service to our customers. 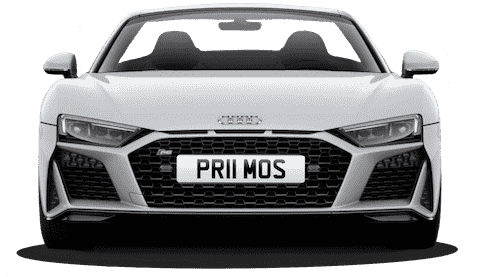 So whatever kind of personalised plate you want to buy, you can be confident that choosing to buy with Primo Registrationsis sure to deliver the quality of service and experience that you expect. Use the search function to explore the plates we have available and begin your journey towards a truly unique vehicle today.